This will never happen again in your lifetime! On August 21, 2017, a truly historic event will take place in the skies: a Total Solar Eclipse will cross the entire United States from West Coast to East Coast. The last time an eclipse spanned the United States (and only the United States) was before the "United States" even existed ... in the year 1257! In general, Total Eclipses over even the slightest part of the U.S. have been rare during our lifetime -- the last Total Eclipse that was visible to anyone in the U.S. was in 1991, but you could only see it from Hawaii. Before that, there was a Total Eclipse visible in 1979, but that one was only visible in the Northwest states, and one in 1970 that could only be seen on the East Coast. Otherwise, the only eclipses you've seen in the U.S. in nearly 50 years have been partial eclipses. Hopefully by now you are realizing what an incredibly rare treat this upcoming eclipse is! Spanning from Oregon to South Carolina, this epic cosmic event has been named the Great American Eclipse. The "path of totality" (where you must be in order to see the Total Eclipse) also crosses over parts of Idaho, Wyoming, Nebraska, Illinois, Kansas, Missouri, Kentucky, Tennessee, Georgia, and North Carolina. Thankfully, even if you aren't in the path of totality during the eclipse, you can still see a partial eclipse from most of the U.S. However, the closer you are to the path of totality, the more impactful the eclipse will be! During a Total Solar Eclipse, the Moon passes in front of the Sun, totally blocking out the Sun and its light from our view here on Earth. 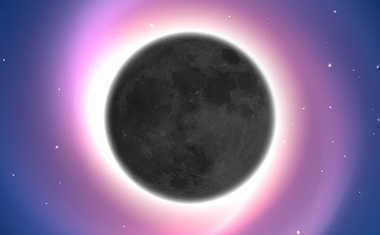 Because the Sun and Moon must be in the same place in the sky, a Solar Eclipse will always happen on a New Moon. On August 21, 2017, for 2 minutes or more, those in the path of totality will experience a complete blackout. It will be as if night has suddenly fallen upon us in the middle of the day. You will be able to see the stars against the black sky, and Mercury, Venus, and Mars will all be visible, too! Plants and animals are even tricked by this brief but total darkness, and will immediately react as if it is nighttime. If you are near, but not in, the path of totality during this Great American Eclipse, you will see the Sun partially eclipsed by the Moon, but you will not experience total darkness. What does this mean in Astrology? 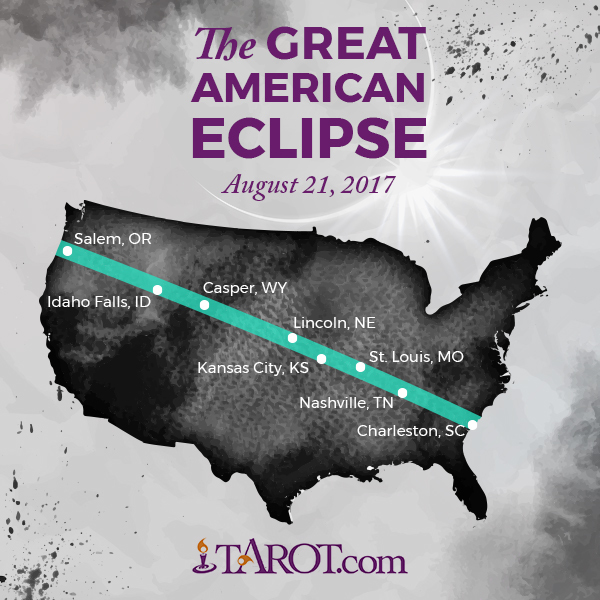 This Great American Eclipse will happen when both the Sun and Moon are in Leo, and coincides with the Leo New Moon. Leo is a sign of expression and creativity, but also drama and pride, so you can expect things to get intense around this eclipse! 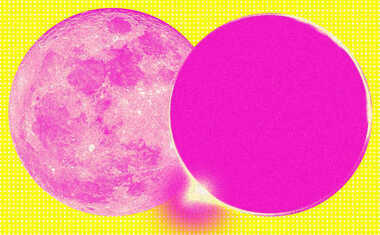 Astrologer Rick Levine explains, "Solar Eclipses may appear disruptive as they break up blockages in our lives." This Solar Eclipse in Leo offers you a profound opportunity to realize the changes you must make in your own life. Read your sign's Great American Eclipse Horoscope here to learn more about its impact on you.